About ten miles north of Concord, New Hampshire, there is the small town of Boscawen right off Interstate 93. The New Hampshire State Veterans Cemetery is located on 104 acres of land that was previously part of the state forest. This site was set aside on July 1, 1997 as the final resting place for NH residents who served in the Armed Forces and their spouses. I’ve been to Arlington National Cemetery and a couple of our American Cemeteries overseas, and this state cemetery can hold its own. It is beautifully landscaped, lovely gardens, well maintained, and a humbling place to visit. For 100 nights, from Memorial Day through September 11th each year, taps are played at 7 p.m. each evening. Following the 100 continuous evenings, taps are then played each Sunday at 1 p.m. rain, shine or show. Mission Statement: To provide and maintain a dignified final-resting place to honor all veterans and eligible dependents which expresses the State’s gratitude for their service to the country. 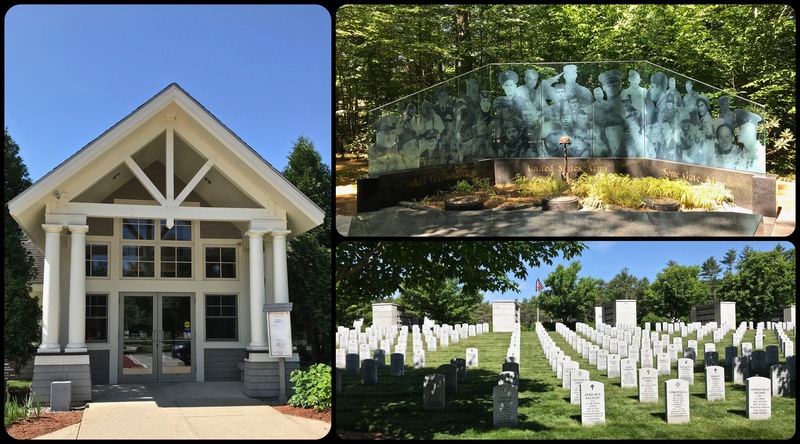 The New Hampshire State Veterans Cemetery conveys peace through natural beauty and is a source of pride to veterans’ families and residents of New Hampshire. 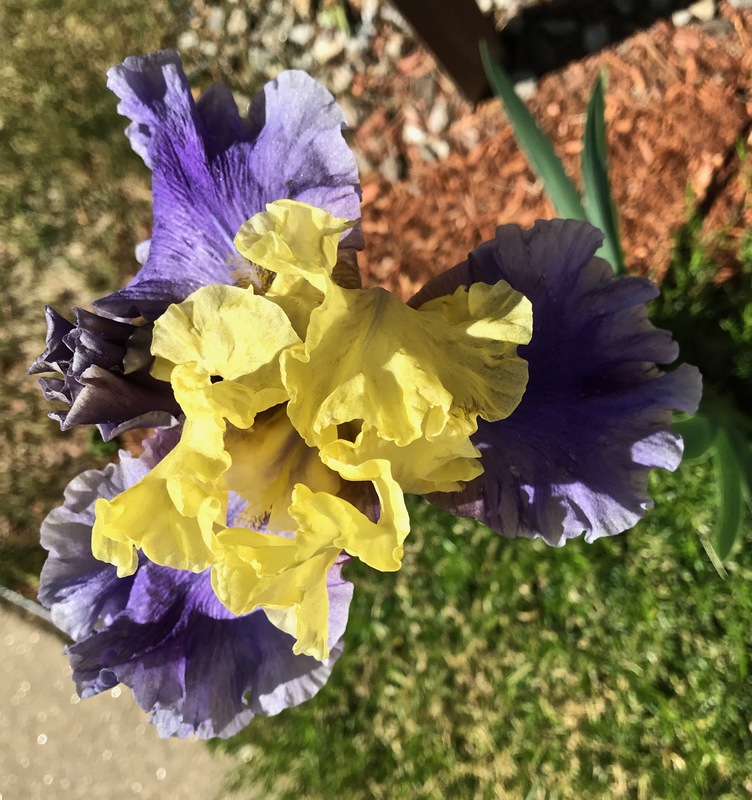 Linked to Norm Frampton’s Thursday Doors, August 16, 2018. This entry was posted in New England and tagged New Hampshire, NH State Veterans Cemetery, Photography, Thursday Doors, Veterans, Veterans cemetery. Bookmark the permalink. Thank you for sharing some interesting places we may see on our own. I think you would be impressed with it. Hope all is well with you and yours. Just a one word reaction today: beautiful! Humbling indeed. Looking at the ‘wall’ is very sobering. “One Flag – Protect It” , and that they did. Thank you for sharing this Judy. I’m glad I got to see it. Reminds me of the WWII cemeteries we saw in Normandy, including the one at Omaha Beach. Such poignant reminders of the high cost of freedom and fighting tyranny. Yes, it was very quiet as we walked around. You can’t help but feel the sacrifice of so many families. I’ve driven by so many times on the highway but have never stopped. Thanks for sharing. With your photography skills, I think you’d find a lot of opportunity. It truly is a testament to the state appreciating the service of its many dedicated members of the Armed Forces. A very beautiful place! Peaceful, too. Now I’m sorry we missed this when we lived only 10 miles away for years! Thanks for the nice post. You would have been impressed. The sun was very bright the day we were there, and a lot of my photos weren’t usable. But, it is a beautiful site, rolling hills of white crosses, granite monuments to the various services, and wonderful flower beds. I’d driven by it too many times to count, and couldn’t believe how truly lovely a site it is. It makes NH residents proud. Beautiful photos of the cemetery. Playing taps every night seems poignant– a subtle but effective reminder of loss. What a beautiful resting place for our veterans. I love that they play taps for 100 days to remind everyone to never forget. Isn’t that special. It is a ways from our home, but I’d sure love to be able to be there for that. A humbling way to pay respect and show appreciation to those who serve. It looks like a pristine site with beautiful well-cared-for trees and landscape. I’m sure your visit there was poignant. When my father was buried in our city’s veterans’ cemetery, the playing of taps was one of the most beautiful sounds I had ever heard. How lovely that they honor those who have served in such a poignant way. Taps always bring tears to my eyes. Love the capture of this place (top right -with the faces formal and casual) -it speaks so much to me, the purpose and commitment they had in life to fight for freedom and justice of their country! As a long-standing member of the Cemetery Fan Club, I fully approve of this post. There is always something to learn by visiting those who came before us. What a beautiful post for Thursday Doors. I cannot imagine how many tears have been spilled as Taps is played. I get chills at the idea of the taps being played! I do love a good cemetery and this one looks beautiful and inspiring. It must be a comfort to the families to know that their loved ones are resting in such a pretty and peaceful place. A peaceful resting place for those who served sacrificially, and a lovely location for family and friends to gather to remember. A lovely Thursday Door post, and tribute to those who have served. It looks like a lovely place to visit, and pay respect to them, and listen to Taps. I’d probably cry. NH residents can be proud of such a well kept memorial to those young lives that have been lost… the gardens make it a peaceful place. You captured the essence of what this cemetery is for so many… a beautiful memorial to those who gave their All! Lovely place of rest. It truly looks peaceful.